Awesome new design and that card is brilliant! Love the gradient shades of blue on kraft. Love this card, simple and perfect! 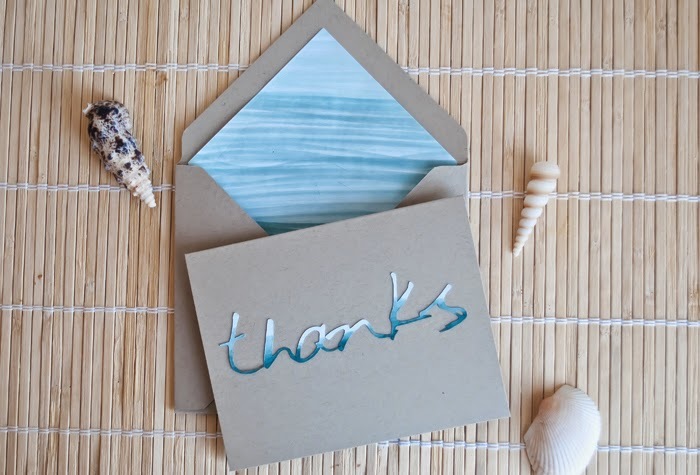 Love the look of this card - very beachy! And I love the new blog design - clever you! I may give that a try! Great card. Love the font you used on your header. I'll have to look into that web site. Thanks. Your blues look very much like surf and the kraft surely does suggest sand. Very clever! I thought the blog design was new. Looks terrific. And, I love your thank you card--especially the gradations of color on the word as well as the liner.